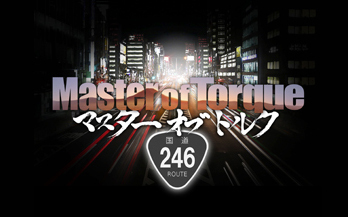 Original Short Anime Series "Master of Torque" Celebrating the joy of motorcycling with a story set on Route 246 of Tokyo, Japan in the near future - News Releases | Yamaha Motor Co., Ltd.
IWATA, March 20, 2014 - Yamaha Motor Co., Ltd. (Tokyo: 7272) announces the March 20, 2014 global release the first episode of an original entertainment anime series titled "Master of Torque" that portrays the exploits of three young motorcycle riders in a semi-fictional Tokyo set in the near future. It will be released on the internet on a special site and on the official Yamaha Motor Co., Ltd. YouTube channel with four episodes running from spring into the summer of 2014. The episode is scheduled to be played at the Yamaha Motor exhibition booth at the Osaka Motorcycle Show 2014 opening March 21 as well as at the Tokyo Motorcycle Show 2014 opening a week later on March 28. This anime series is entertainment created in Japan for a global audience of all ages and nationalities. It sends a message about the fun of riding motorcycles and the kind of lifestyle they can bring using Yamaha's "MT-09" and "MT-07" models and their product characteristics. This will be communicated within an animated world with a Japan-centric theme in ways not seen before by Yamaha Motor for presenting and expressing the image of its large-displacement motorcycles. 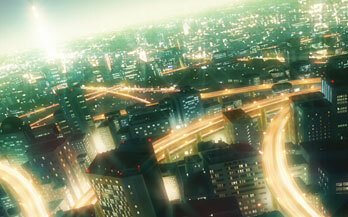 In addition to the series itself, which will use the kind of visuals and style that have made Japanese anime so popular throughout the world in recent years, the special site will release content introducing National Route 246, other actual locations that appear in the story and interesting aspects of Japanese culture. The series and the website will serve as a platform for presenting an animated world that portrays "Japan" as well as Japanese values and aesthetics to a wide-ranging audience. Traditionally, promotions to communicate the image and appeal of Yamaha large-displacement motorcycles have shown them in use in the urban areas or natural environments of Europe or North America. As "a visual production from Japan," this series breaks out of that pattern and presents the image of the Yamaha MT-09 and MT-07 and the lifestyles they offer within an animated world with a Japan-centric theme not seen before in promotions by Yamaha Motor. Another aim of this series is to apply the illustrative touch, use of color and techniques for expressing motion that Japanese animation has become famous for around the world to bring to life the characters' expressions, the riding scenes and the background settings in ways that create a unique animated world. *Please refer to the MT-09 product release (announced on June 12, 2013). Animation certainly isn't an art that is unique to Japan. There is a long history of animation in many parts of the world, each with its own special regional, social and cultural backgrounds and styles that reflect their fans' tastes. In recent years, however, Japanese anime has won acclaim and a particularly large following around the world due to the methods and techniques in its illustration, etc. At Yamaha Motor, we believe that behind this popularity lies a tradition of uniquely Japanese aesthetics, a culture of craftsmanship and a story-telling art that is rich in imagination. By using the unique and expressive methods Japanese anime is known for in this original series, we hope to reach across borders and age groups to communicate to a global audience the distinct aspects of Japanese culture that can be described as "artistic creativity built on rich imagination" and "the craftsman-like attitude in creating products" that we call Monozukuri.